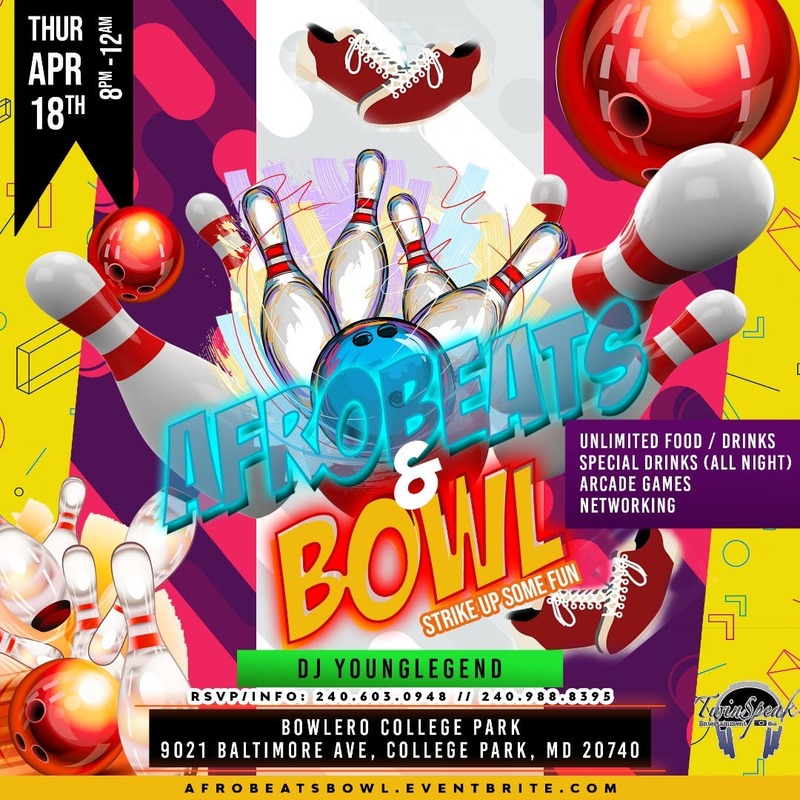 Come Strike Up Some Fun on a great night with your friends, family and love ones while listening to afrobeats and current top 40 tunes. There will be Food/Drinks provided, Drink Specials All Night, Arcade Games, and Networking Opporunities. Special Guest • Drink Specials All Night • Food • Arcade Games + MORE !!! *What time should i arrive? *Can we pay at the door? No, all purchase must be made before the event to reserve your spot. *Are ID required and what's the age limit to enter?